Tiffany Richards has been training martial arts since 1998. She began her study under Dennis Laycock at American Karate Studios in Kenpo, Shotokan and Tae Kwon Do. During that time, she also trained in Goju Shorei with Sensei Frank Sasso. 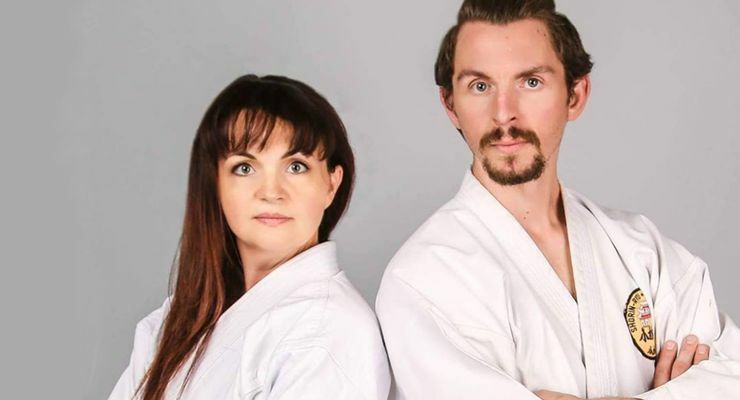 In late 1999 to present, Tiffany took to Kensho-Do with Grand Master Alex Santa Maria. 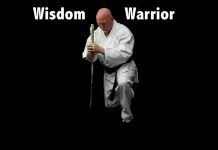 The system is a blend of both hard and soft styles, and combines Chinese Kenpo, Shorei-Ryu, Tai Liu Chuan Fa Kung Fu, Aikido, Jeet Kune Do (Bruce Lee’s system), Pananjakman (a Filipino kicking art), Aiki Jujitsu and more. 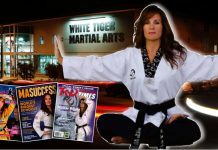 A short-term move back to her hometown in 2000 prompted her to open her own school where she taught kids karate and women’s kickboxing. Tiffany is currently the co-owner of Peaceful Warrior Martial Arts & Healing Center in Scottsdale, Arizona. 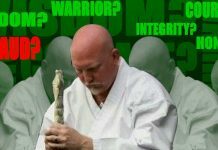 Peaceful Warrior Martial Arts & Healing Center was founded in July 2010 with a mission to create a community where health, wellness and martial arts training are used to better the lives of its members. In addition to Peaceful Warrior Martial Arts & Healing Center, Tiffany owns an on-site corporate wellness firm, The Back Rub Company. The firm provides companies’ employees with chair massage, fitness classes, wellness workshops, weight loss programs, nutrition and more. Tiffany began her career in holistic healthcare the same year she started training martial arts, and toured with Cirque du Soleil from 2002-2003 working with the artists as their personal massage therapist and fitness coach. Upon her return from tour, she transitioned into opening The Back Rub Company, and took a hiatus from training martial arts. In 2008, she went back to training and today credits martial arts as an integral part of her life. Martial arts has helped her to stay grounded, focused and in shape. She has been on Arizona’s Top 35 Entrepreneurs Under 35 list and serves as one of the youngest members of an international executives’ business association. 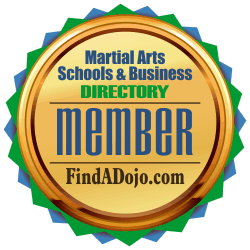 Visit the Peaceful Warrior Martial Arts & Healing Center listing on the Martial Arts Schools Directory. To contact Tiffany Richards and the Peaceful Warrior Martial Arts & Healing Center visit their listing on the Martial Arts Schools and Businesses Directory by clicking on the image on the left.